We thank Mazda for providing us with an awesome experience while driving their 2017 Mazda CX-3. All opinions are honest and Dragon certified. Pet ownership is important for building your kid’s confidence, responsibility level and kindness factor. Nothing teaches responsibility better than having a live animal to care for. Enter the Dragon. 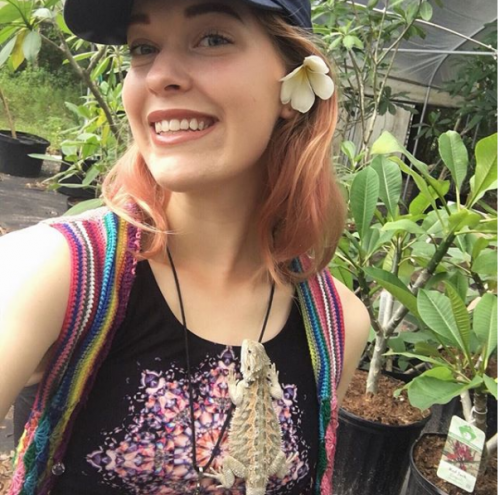 Beloved has wanted a reptile for some time and like any concerned Mom, I’ve ignored her repeated requests over the years. Yes, ignored. Don’t judge. Florida offers a number of reputable Dragon breeders so it wasn’t too difficult to select just the right family member. Be sure to look into this as you want your child’s first pet to be of higher quality (so they’ll live longer). Pet supplies are another thing. OMGee, there are so many items to buy to cozy up this little guy’s home. 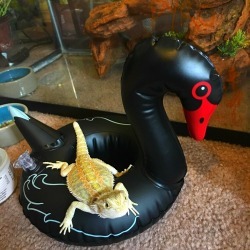 Apparently dragons grow quickly and become quite large so you’ll need a larger tank. 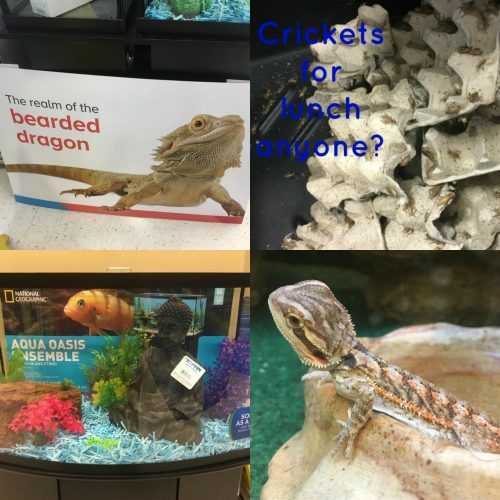 We found tons of tanks at our local pet store. Since we decided on a 50 gallon, I’m glad we brought the 2017 Mazda CX-3. It’s got enough cargo space to haul everything home. 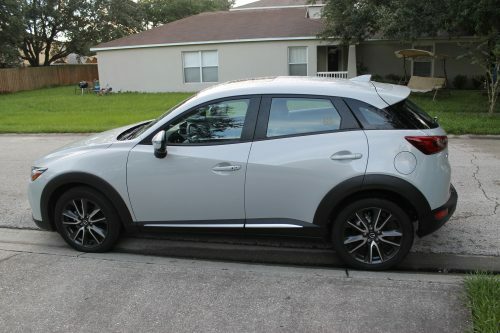 Getting our pet home was simple enough but we didn’t realize that he’d love the Mazda CX-3 so much. 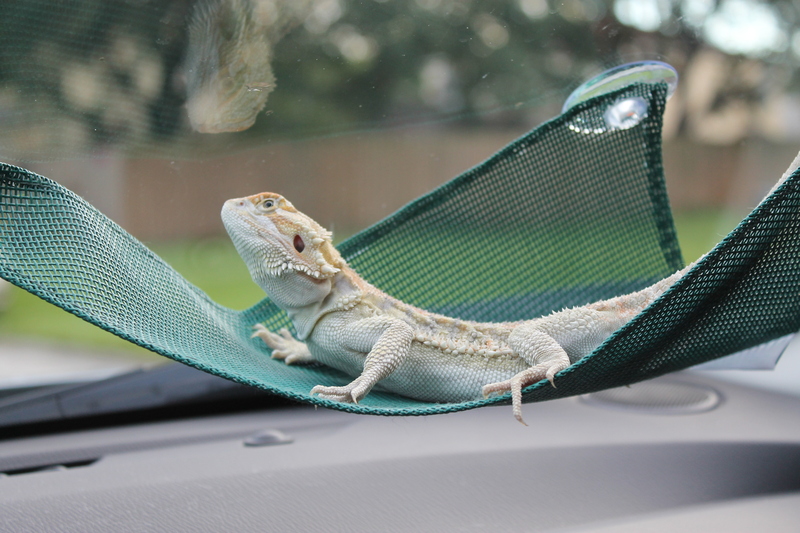 The front windshield quickly became his favorite spot because he could warm up in the sun while getting an amazing view of the neighborhood. 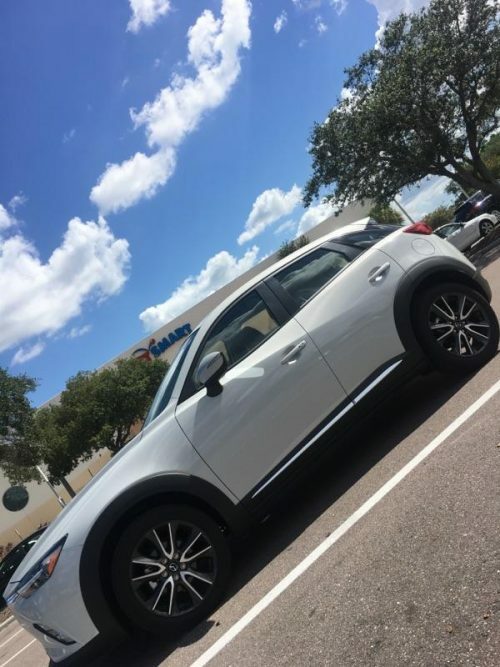 We got a lot of looks but I’m pretty sure the CX-3 played a part in that. 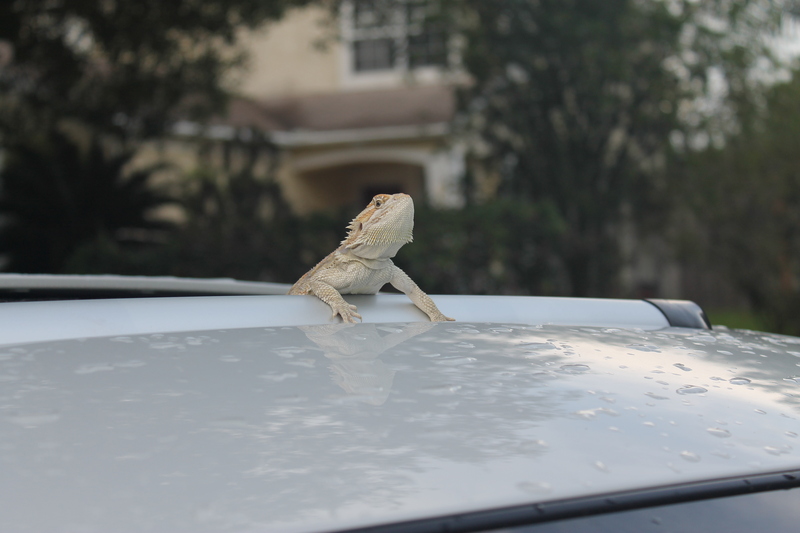 Or maybe it was our little friend hanging out of the power moonroof. I personally love the interior and dashboard. There are a million buttons, dials and gadgets so it did take a bit to find everything but after driving it for the week, I noticed that each one served a purpose to make my life easier. We all got a kick out of the Commander control knob that feels like you’re playing a video game whenever you adjust the music settings. 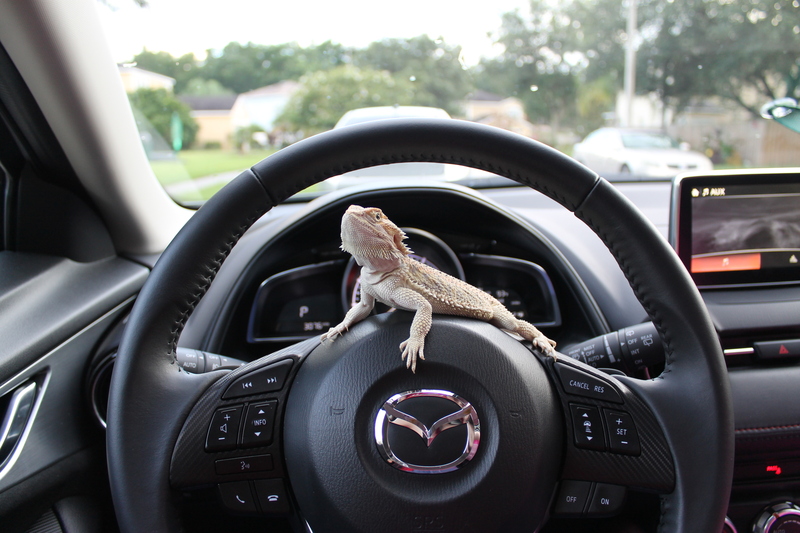 The 2017 Mazda CX-3 Grand Touring FWD model drove like a dream and was super quiet so we didn’t spook our new pet. This vehicle made our first of many trips to the pet store a memorable experience. New car. New pet. Loving life. Moms, don’t be so afraid to allow your kids to take ownership of a pet. With proper guidance and patience, you’ll see them blossom at their new found responsibility. Good Luck! Tell me in the comments what pet your kids have. ← Why Do Children Dislike Brushing Their Teeth? Here’s how to help them fight tooth decay.